No prayer request is too large or too small. Even if you're not sure what to pray about or even how to pray, our prayer ministry team will pray with you. Unity was founded on prayer. For more than 125 years, Silent Unity has been praying with and for people throughout the world. 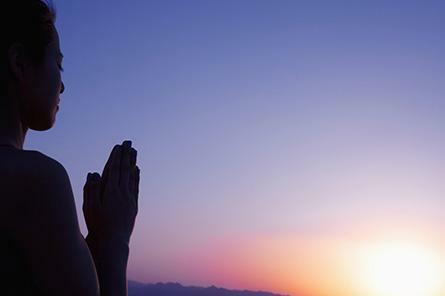 Whatever your prayer need, finding peace of mind provides a foundation of strength to face any situation or concern. Your request is a sacred trust and is kept confidential. Our local prayer team with prayer with you and then send your prayers on to Silent Unity for additional prayer support. There is never a charge for this service. The Light of God surrounds us. The Love of God enfolds us. The Power of God protects us. The Presence of God watches over us. Wherever we are, God is, and all is well.